Wallace (dry) Creek on the Cariso Plain, California. Note as the creek flows from the northern mountainous part of the image, it takes a sharp right (as viewed from the flow of water), then a sharp left. 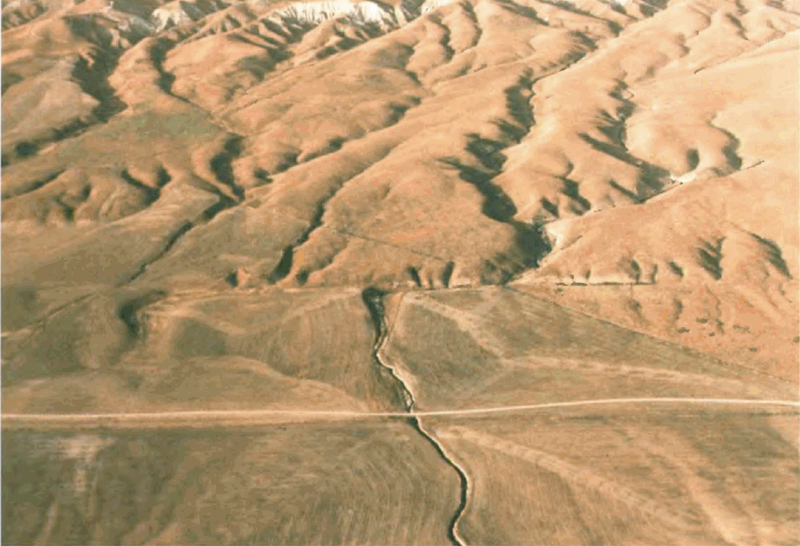 This is caused by the San Andreas Fault cutting roughly perpendicular to the creek, and shifting the location of the creek over time. The fault can be seen about halfway down, trending left to right, as a change in the topography.